Hard to believe, but it has already been about five years since I started working at Capitol Rehab of Arlington. That also marks around the time since I started running. 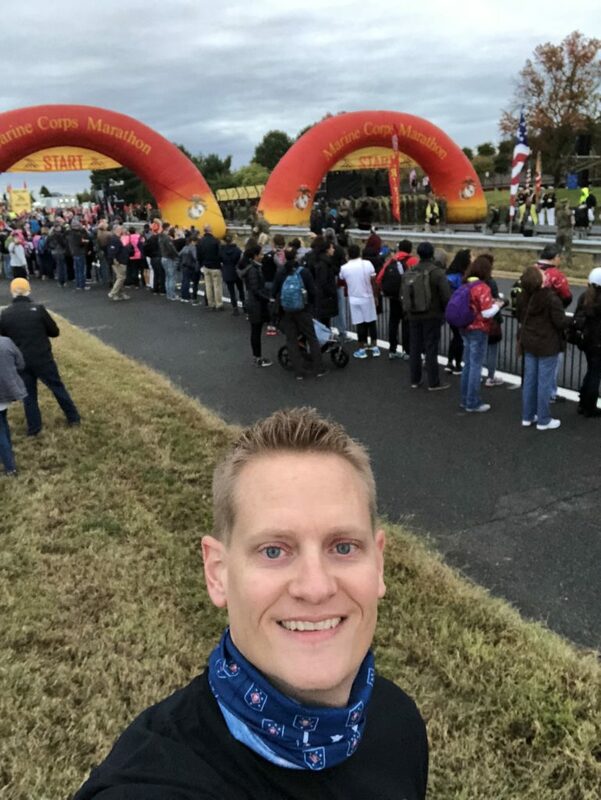 I’ve run a lot of 5Ks since then and even a few half-marathons, but who knew in that short space of time, I’d end up running the Marine Corps Marathon? Every run is challenging because running without chasing a ball or someone with a ball doesn’t come easily to me, both psychologically and with regard to stamina. Tell me to play basketball, I’ll do that all day, no problem. But a point-to-point jog where I rely solely on myself and set my own goals and determine my own achievements? That was a difficult transition. This year, however, I changed my mind — or I lost my sanity. In January, a patient mentioned the 17.75K Marine Corps race that is run every March down near Quantico, not far from where I live. 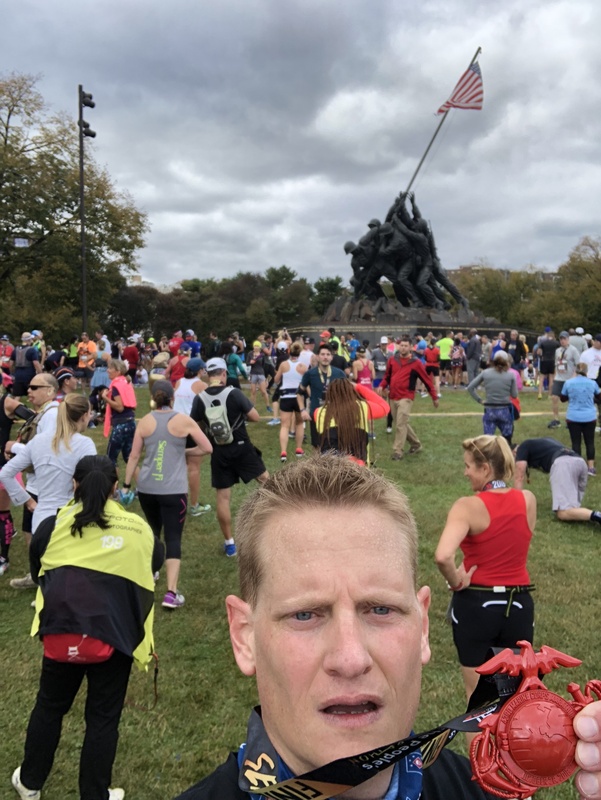 He noted that finishing this race would make me eligible for automatic entry into the Marine Corps Marathon (MCM) should I choose to enter. After doing the math and seeing that 17.75K is a smidge over 11 miles, I thought I could do it. It’s shorter than a half-marathon, and if I was feeling ambitious and crazy enough, I could registered for the MCM. I signed up for the Quantico race. 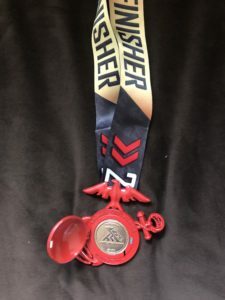 By summer, I had run two more half-marathons, but I wasn’t happy with my timing or stamina. During my prior years of running, I had never followed a training program. As I was contemplating running the Marine Corps Marathon, one of my sisters-in-law — a marathon runner who has run multiple Boston Marathons — told me of Hal Higdon and his training programs. I chose to join a Higdon program, which consists of three days of running per week along with three days of cross-training. As behaved as I was about keeping up with the mileage guide, I was pretty bad with sticking to the cross-training. I followed the mileage guide to a “t” up until mid- to late-September, when my wife and I went on vacation. When we returned, I got sick for another week or two. 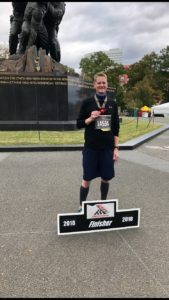 I then ran the Navy-Air Force half-marathon on Sept. 16 and set a personal record (PR). Despite slacking in training for a couple weeks, I felt confident going into October. Race day I was feeling really good — not as ready as I could have been, but I’m sure most people don’t feel 100 percent on most of their race days. The first half of the race went really well. 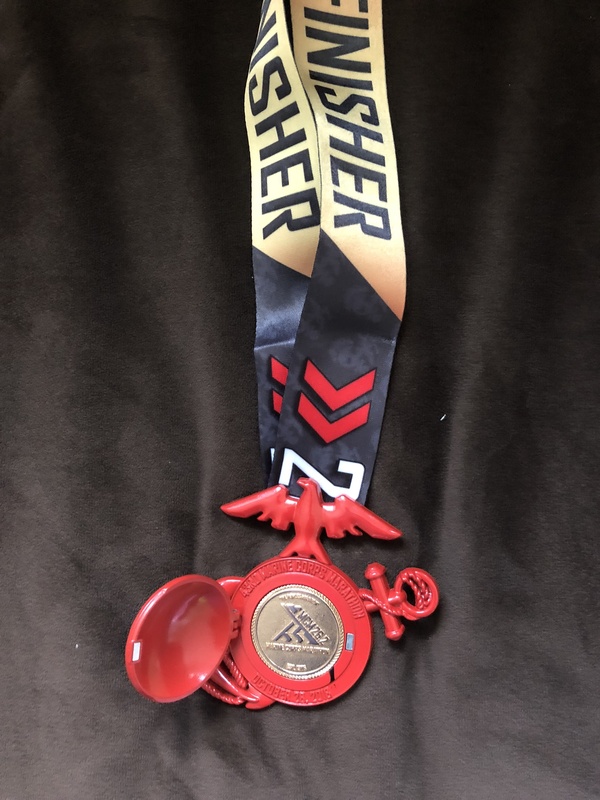 I set a new PR for the half-marathon distance. I also fueled really well both pre- and during the race. At mile marker 14, my hips and upper legs started cramping, which was a familiar feeling during my training. Cramping only got worse the rest of the way, and I walked a lot to try and shake out the muscles, stretch, and beat out the muscle tension. The back half took 50 minutes longer than the first half. Miles 21-25 gave me four instances where I really thought puking was imminent, but I kept it down. I finished with a time of 4:49, four hours and 49 minutes. Not the best but I’m glad I finished and my recovery was quick. So now, of course, I want to get a better time and try again next year. Because running isn’t natural for me, I know I need to strengthen my legs and learn better what fueling works best for me, both during training and for race day. I plan to run the 17.75K in March and start all over. Congrats on doing your first marathon! Marine Corps is an awesome experience. Sounds like you did an excellent job in your training. I’m guessing that ultra fast first half may have contributed to cramps later, but I’m not the expert here :-). Since you have so many patients who are runners, you may want to ask about different races. I did Marine Corp my first two years in 2003 and 2004. There’s much to be said for the convenience of a local race. I’ll also recommend Steamtown to you, which is a little earlier, about a 4 hour drive away, big net downhill and lots of fun. If you ever want to really up your game, I met Mike Hamberger, dcrunningcoach.com through Capitol Rehab. He took 35 minutes off my time and got me qualified for Boston in less than a year.